← What can a life coach offer me? What can a wellness coach offer me? A wellness coach offers you the opportunity to maximize your wellness in a way that motivates you to follow through. A wellness coach has completed professional coaching certification and thus knows how to empower you to manage your health and well-being while also creating the change you desire. Many other different professionals offer expert advice in weight loss, health management, fitness, and more. A wellness coach sees you as your own best expert and recognizes that you know yourself best. This means a wellness coach learns in coach training how to empower you so that you are confident and motivated to take action. Depending on your focus, you may want to work with a wellness coach who also has expertise in other areas, or to work with both a wellness coach and other professionals. The true benefit of a wellness coach is in the results. A fully trained wellness coach will, on average, multiply your gains. Consider this: how long have you struggled with making the change you want? What is it worth to you to get the results? Your answers to these questions likely indicate that working with a trained wellness coach is going to make the difference. A wellness coach is a very worthwhile investment in yourself. 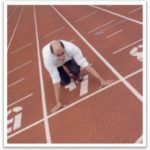 This entry was posted in Coaching Resources, Coaching Skills, Coaching Stories, Skills Tools and Techniques. Bookmark the permalink.